On Tuesday (November 27), ITS (UK) held its first Annual Summit, in Bristol, west England, bringing together some 200 professionals from across the country – and a distinguished few from beyond British shores – to consider the most pressing issues the ITS community currently faces. Speakers included Steven Norris, Kirk Steudle and Cees de Wijs. The Venetian architectural grandeur of a former Lloyd’s banking hall (above), now part of the Bristol Harbour Hotel, formed an impressive backdrop as ITS (UK) President Steven Norris set the tone with his opening speech. Norris (below) emphasised that, while many conferences are all about technology, it was important to ask what challenges really needed solving and to remember that technology is only valuable if it has a practical application; therefore, the main focus of the conference should would be strategy. Norris reminded delegates that poor urban air quality causes 40,000 premature deaths in the UK each year, providing one clear challenge technology should seek to address. Deterring people from driving on a financial or moral basis was not enough, he said. Instead, public transport needed to become a reliably convenient, positive alternative to the car. To this end Norris praised initiatives in Helsinki, Antwerp and Birmingham offering multimodal travel for a fixed monthly charge. Keynote speaker Kirk T Steudle (below), Interim President and CEO of the American Center for Mobility, was next to take the podium. Steudle, who built a reputation for innovation during his time as director of Michigan DOT, echoed the emphasis on technology serving a practical end and asked how technology available now could be used to solve current challenges. Steudle rejected the term ‘accidents’, insisting that most of the 37,461 deaths on US roads in 2017 were due to ‘crashes’ resulting from human error. Safety, he said, provided the raison d’etre for the connected and autonomous vehicles (CAVs) currently being tested at the American Center for Mobility’s $130 million validation facility and he questioned why people would prefer to trust other, often inattentive, fellow-drivers, rather than a computer. In respect of Mobility-as-a-Service (MaaS), Steudle identified getting those with the ability to pay to help support the system, rather than allowing them to opt out of it, as a key challenge lying ahead. Jackie Davies (below), who runs Bristol’s Traffic Control Service, gave an animated and impassioned account of ongoing efforts to wring the most value from existing assets during a period of budget restraint, which struck a chord with many delegates. 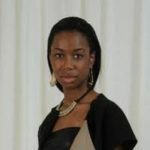 She also described plans to build a business case for a SCOOT-linked microsimulation project with the potential to initiate a step-change in traffic management. There followed a panel discussion about turning ideas into implementation chaired by ITS (UK) Communications Manager, Paul Hutton. 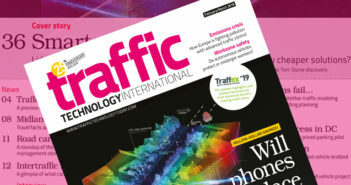 This saw a range of senior figures from both commercial and government agencies consider how procurement processes could best ensure that innovative technologies are harnessed to improve mobility. After lunch, delegates were treated to an animated and adversarial Oxford-style debate on the topic of whether investment should be channelled towards developing driverless cars, which was highly entertaining and culminated in a knife-edge vote reminiscent of Britain’s 2016 EU Referendum. 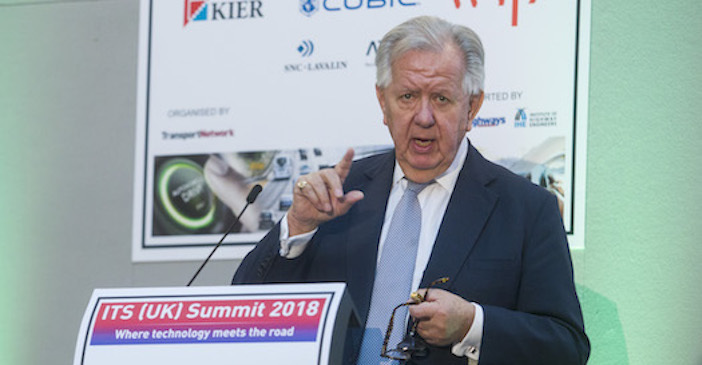 Speakers from Summit sponsors Cubic, Kier and Atkins then spoke about Maas, smart motorways and air quality respectively, before WSP’s Ian Patey, chairman of ITS (UK) offered his closing remarks. Patey focused on the impressive scale of the event and reiterated the focus on outcomes. He also drew a parallel between the way the venue had adapted, changing from a banking hall into a resplendent conference venue, and the need of the ITS industry, with its existing physical assets, to adapt to a new and digital world. The night before the Summit ITS (UK)’s annual dinner took place at the same venue and the organization’s Annual Awards were presented.